J.I. Rodale, the founder of Rodale Inc., publisher of Prevention and several other magazines, was dead at the age of 72. What was even more shocking was where he died. The promoter of health in media was gone, but his legacy carried on. What does this have to do with content marketing? Everything. Not because of the interview, but because of the publishing company Rodale left behind. You see, Rodale didn’t just create a magazine that “presented systematic ways people could try to prevent illness and disease.” He left behind an understanding of the magazine industry that would propel Prevention to become one of the world’s largest magazines (10 million monthly readers). What I want to do today is reveal how Rodale Inc. did that, and help you apply it to your own content marketing strategy. There is still an illusion to the effect that a magazine is a periodical in which advertising is incidental. But we don’t look at it that way. A magazine is simply a device to induce people to read advertising. It is a large booklet with two departments – entertainment and business. The entertainment department finds stories, pictures, verse, etc. to interest the public. The business department makes the money. This simple concept is like most foundational concepts. The power isn’t in knowing, it’s in implementing the concepts. Rodale (and those at Rodale Inc. after him) implemented these concepts so well that it became a science. In 2014, Rodale publications reached an all-time high gross readership of 37.7 million readers. I accidentally discovered Rodale Inc.’s strategy. It all began when my wife started receiving Prevention magazine and Rodale began to send her promotional magazines (magalogs). The next thing I knew she ordered some of those books and products promoted in those magalogs. You need to understand something. Unlike me, my wife doesn’t like (or even care about) marketing. For her to read these marketing materials, like them, and respond to them meant Rodale was doing something right. That led me to pay attention to its efforts and research its current and past practices. The results are revealed in the five-step strategy. Rodale Inc. never creates content for the sake of creating content. It always has a specific audience in mind. All of the content is designed to appeal, attract, and help that audience. 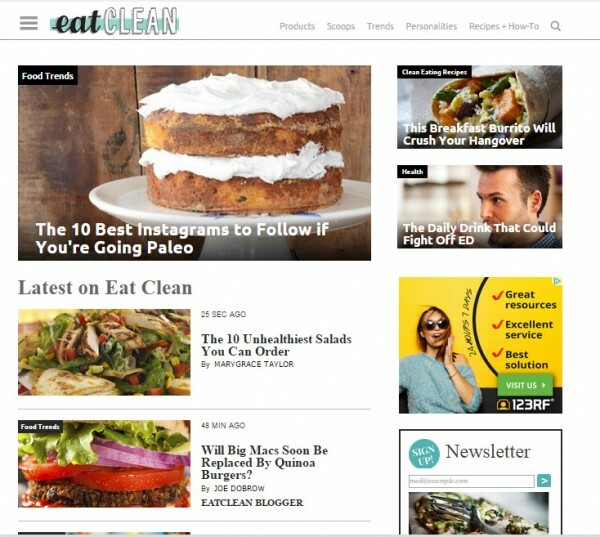 With an often irreverent, always authoritative tone, EatClean.com will be the gathering place for clean-food insiders and experimenters, uncovering the latest trends, innovations, opinions, products, and recipes. Rodale’s mindset on creating content is different from that of many marketers. Others usually focus on a generic audience. They create content for “urgent” reasons such as a blog post is scheduled; it’s a topic we’ve wanted to discuss; it’s something everybody else is talking about right now. Who is the specific audience we are trying to attract? What do they want to share? Rodale always creates content with purpose and on purpose. I once heard author and podcaster Paul Colligan say, “I am not focused on listeners. I am focused on subscribers.” This should be true for content creators of all kinds. Why? Readers are great, but subscribers are what really matters. Uncover a specific audience that wants to hear from you by letting them raise their hands and identify themselves. Gain permission to contact them. Create content that is expected and anticipated by your audience. Build a deep relationship with your audience. Contact your audience for free (or be paid as the magazine subscription model provides). Email marketing has shown to be much more powerful than any social media tool. And physical mailing lists always have been an asset that every business should grow. Of course, Rodale appreciates it when people walk into a bookstore and buy one of its magazines. But Rodale isn’t focused on single-copy sales; it knows subscribers offer the most value. Never forget that is true for you, no matter what type of content you are creating. This is the copy writer’s task: not to create this mass desire – but to channel and direct it. Actually, it would be impossible for any one advertiser to spend enough money to actually create this mass desire. He can only exploit it. And he dies when he tries to run against it. Let me repeat. This mass desire must already be there. It must already exist. You cannot create it and you cannot fight it. But you can – and must – direct it, channel it. Focus it onto your particular product. You cannot create a desire for your product or service. It doesn’t matter if you love your product. All that matters is that your prospects desire it. That’s not only true for copywriters. It’s true of all successful content marketers. You must know what your audiences’ desires are and how to appeal to them. How can you do that? Think of your content marketing as a way to discover the desires of your audience. Write for a specific audience and pay attention to how that content resonates with them. See what gets the most comments and shares. But that’s just the beginning. Talk to those subscribers on whom you’ve been focusing and ask what they want. Rodale constantly studies the desires of its audiences. It looks at trends. It even conducts an annual survey to get consumers’ reactions to specific areas and types of information. People are more in tune than ever with the relationship between what they eat, how they look and feel, and how our food affects the planet. Everywhere you shop or eat now, you can find some food label – whether something is sustainably sourced, real, natural, pure, non-GMO, local, gluten-free – that raises more questions than it answers. Eat Clean helps people negotiate this crazy landscape and figure out how to ‘eat clean’ in a way that makes the most sense for their own health, goals, and ethics. Rodale understands that unless it knows what a specific audience wants, it can never create solutions that they will buy. You must never forget this. It’s the key to success in sales conversions. Once you know the audience’s desires, you can create the things that they want to buy or position what you already offer in ways that appeal to them. People have different content-consumption preferences. Some types of content have more perceived value than others. With this in mind, Rodale created all kinds of different info-products, products, and services to appeal not only to the different desires of its audiences but to the different ways the audiences want to consume information. In addition to magazines, Rodale offers books, products, an online university, and host-branded events. Now obviously, you don’t want to create all of these solutions at once. Start with one idea and build from there. How can you get ideas on where to start? Look to the content you’ve created for format ideas. All of the content you create must be designed to attract and help that hungry crowd with money. Your products and services must meet the needs and/or desires that a crowd of people with money has. Rodale knows that to help your audience the most, and at the same time maximize your profits, you must create many types of solutions for your prospects to buy. If you want to maximize your sales, then you must do the same. The other thing Rodale does that many content marketers do not do is they rely on more than content marketing — they also rely on content selling. Content marketing can take you far but without an offer or ask, it’s difficult to get a sale. 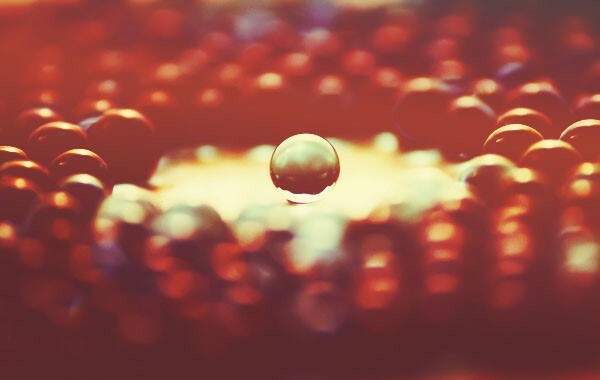 At some point, you must focus on content that intentionally sells. What’s the difference? I recently heard Todd Brown of MarketingFunnelAutomation.com give this powerful explanation on the difference between marketing and selling. I’ll paraphrase it: Marketing is when you talk about the prospects – the prospect’s situation, needs, wants, and what’s in the best interest of your prospect. In other words, what they should be doing to alleviate their problem … Selling is when you talk about you, your product, your product’s benefits, features, advantages, risk-reversal, bonuses – that’s selling. In other words, content marketing is content focused on attracting members of an audience, educating them, and helping them. Content selling is content focused on why the audience members should buy what you are offering. Rodale doesn’t just focus on content to attract its audiences (magazines = content marketing). It also is focused on content that offers a solution (magalogs and sales letters = content selling). That is why Rodale is so successful. That’s why my wife has purchased things from the company. Its magazines alone would never have been able to accomplish this success. Too many content marketers never ask for the sale. They waste much of their content marketing efforts. Rodale never loses sight of the two purposes of a magazine – to gather an audience and to make a profit. This balanced focus and the powerful way it is implemented are the keys to Rodale’s amazing success. If you want to see better results, then you must do the same. This five-step strategy can act as a template to improve your content marketing strategy. Answer these questions to see which step you need to focus on. Once you can answer yes to a question, proceed to the next. Have I determined the specific audience on which we are focused? Have I focused sufficiently on subscribers? Do I know the existing desires of this audience? Have I created enough different types of solutions to sell to them? Have I created content that encourages these audience members to purchase and explained why they should? Following Rodale’s model, you can ask the right questions to develop the best answers to create a well-informed content marketing strategy. Want some more assistance to enhance your content marketing strategy and structure your team for more effective content marketing. Read CMI’s e-book: Building the Perfect Content Marketing Mix.